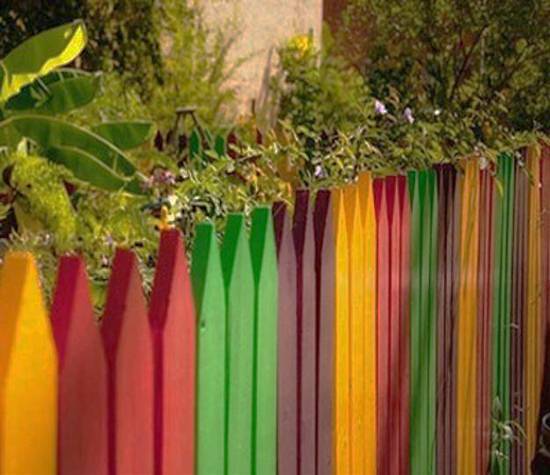 Lushome presents colorful fence painting ideas for iron and wooden fences. 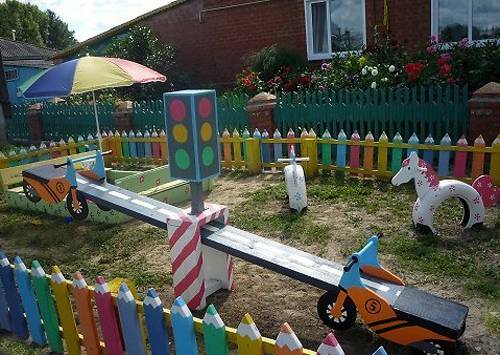 Bright color design is a great tool for personalizing outdoor home decor and adding striking decorations to backyard ideas. 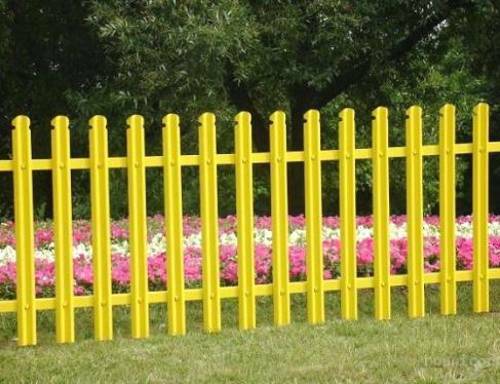 Having an iron fence makes your home elegant and attractive. 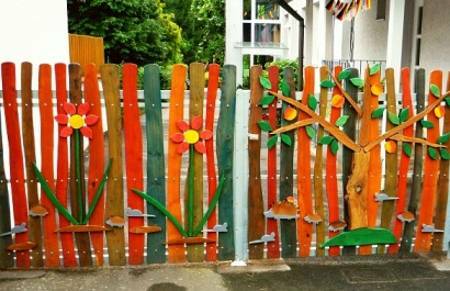 A wooden fence add a traditional, nostalgic and beautiful look to house design. 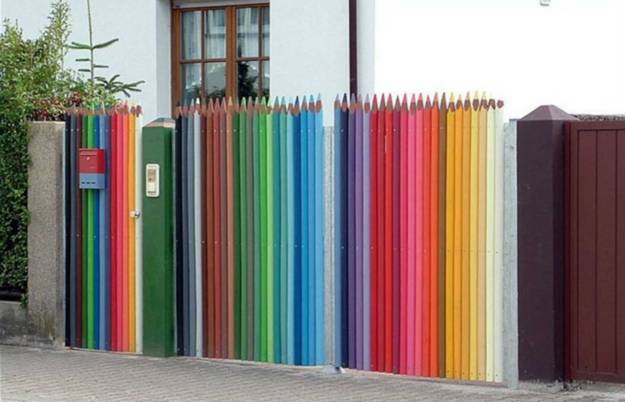 Colorful painting ideas for iron fences turn this functional structures into bright and attractive yard decorations. 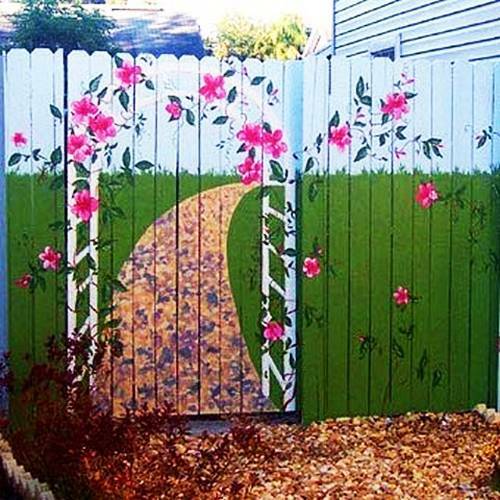 Creative and playful painting ideas for a fence make your home look unique. 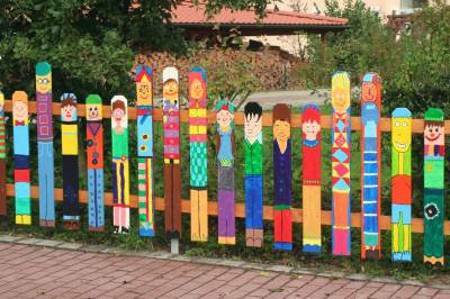 If you have a wooden fence your home feels cozy and classy. 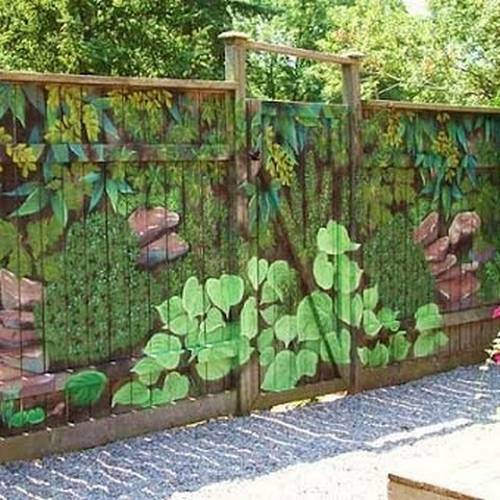 Fences are excellent, charming and very personal details of house exterior and backyard designs. 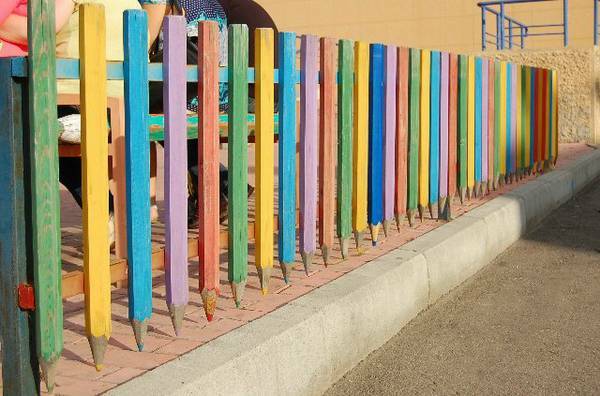 Over time your fence wears down. 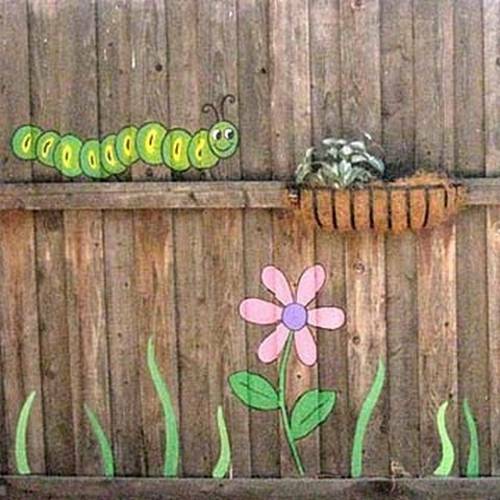 Scratches and unappealing rust can ruin the look of your fence and beautiful outdoor home decor. 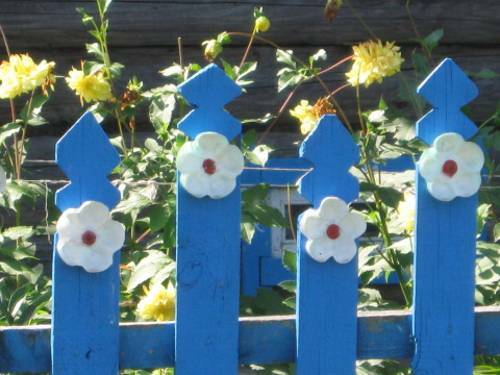 Fences need to be repainted and if you enjoy DIY painting ideas, creative designs and art projects that save money, this collection of colorful painting ideas for fences is perfect for you. 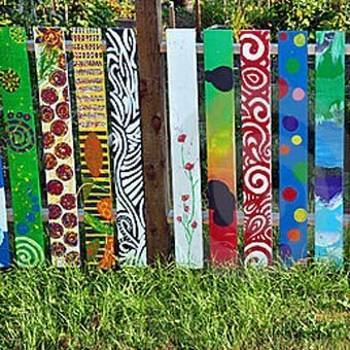 As with most DIY, crafts and art projects for home decorating, painting a fence is an easy to do yourself and low cost idea. 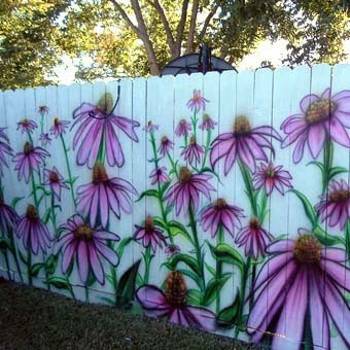 For bright and colorful fence designs you need pain in different colors, primer, a good brush, a roller , a roller extension if your fence is tall, rubber gloves, sand paper, scraper, a kneeling pad. 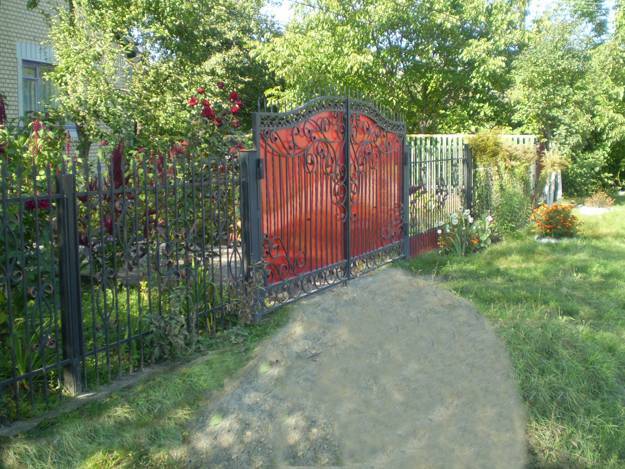 Before staring iron fence painting you have to remove the rust. 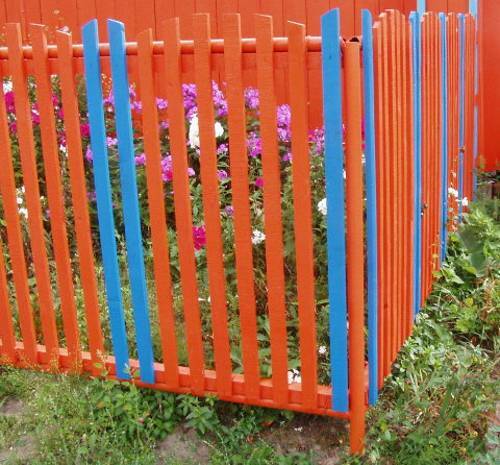 Check carefully your iron fence for any signs of rust. 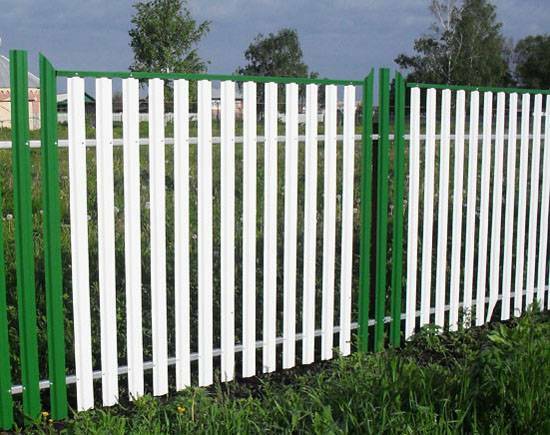 Removing the rust from the iron fence is a way to ensure that the primer can be absorbed by the fence. 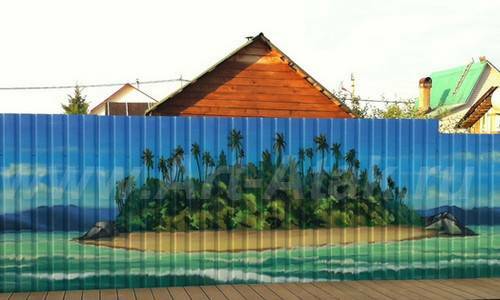 Then wash the fence with mineral spirits to get rid of remaining rust before painting. 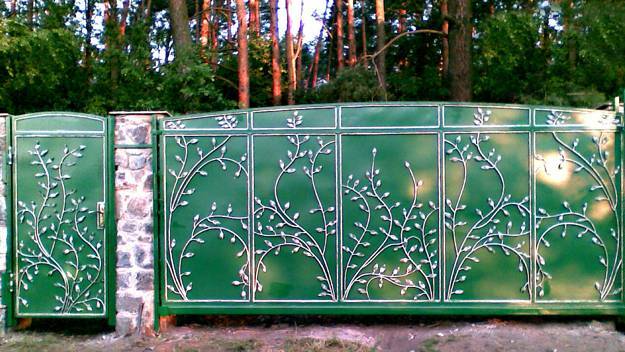 Start the iron fence painting with a primer metal paint. 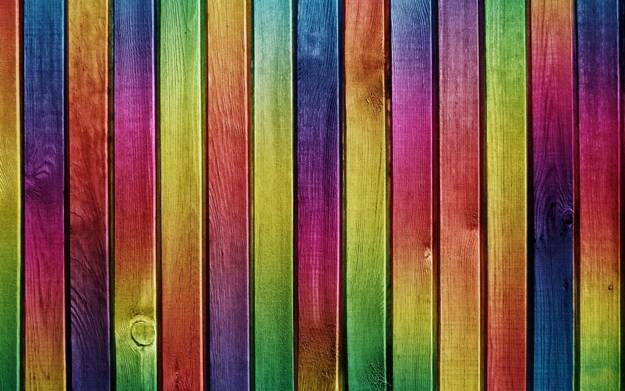 The topcoat will last longer if there is a primer to hold on to. 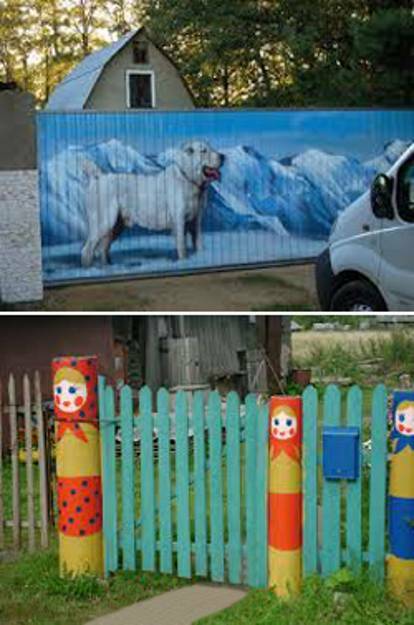 Make sure that the primer and the finish coat you are using are compatible so that it would last long and the result is attractive. 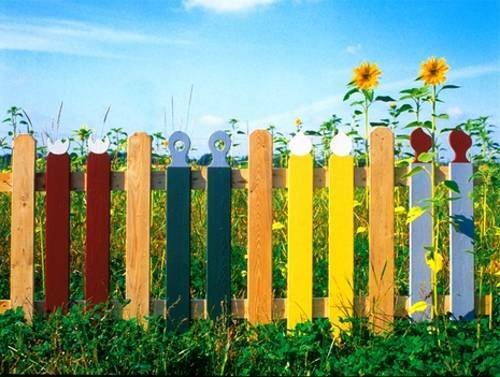 Before you start painting a wood fence you have to make sure the surfaces of your fence are clean. 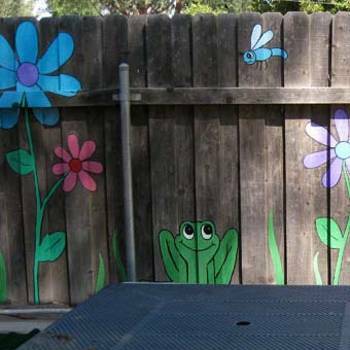 Remove any grass and seeds from the fence. 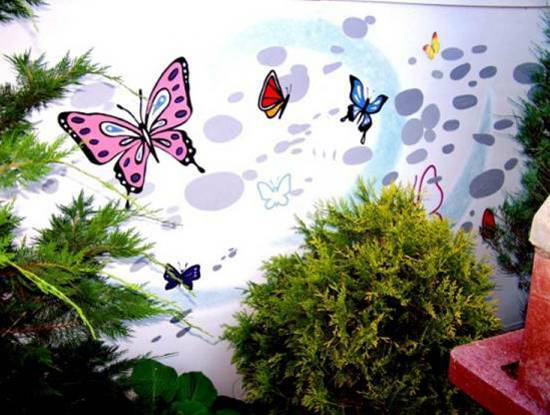 Wash off all dirt with warm water and a little detergent. 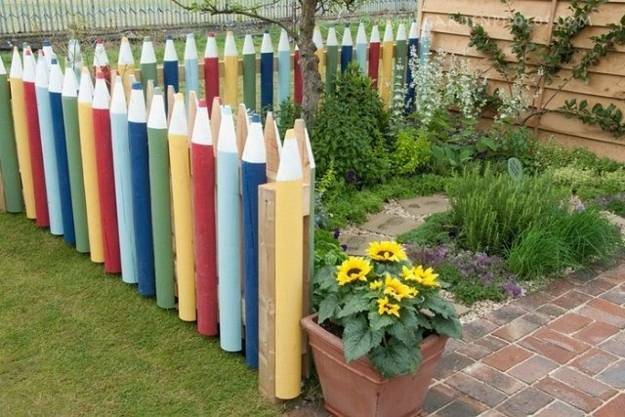 If the fence touches your garden house or main house exterior wall you may want to separate the edges with painter tape. 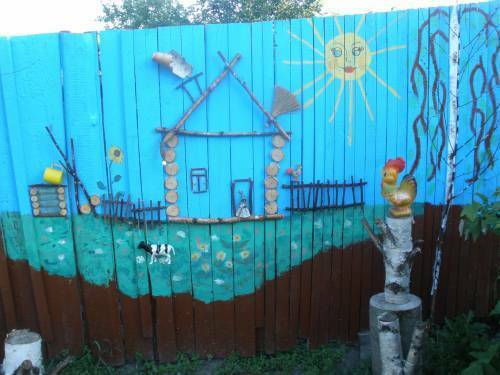 Repair your wood fence and start painting. 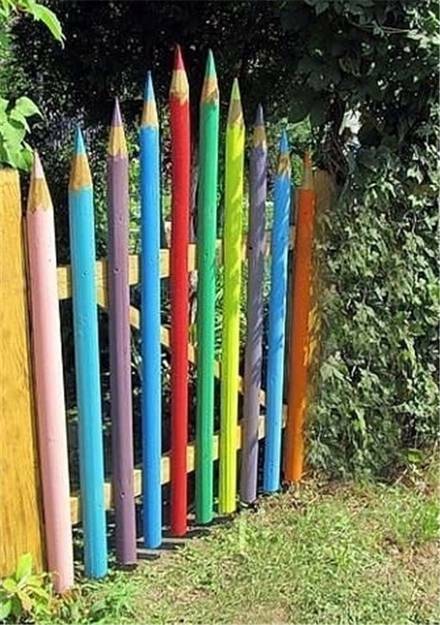 Prepare paint in different colors for bright fence design. 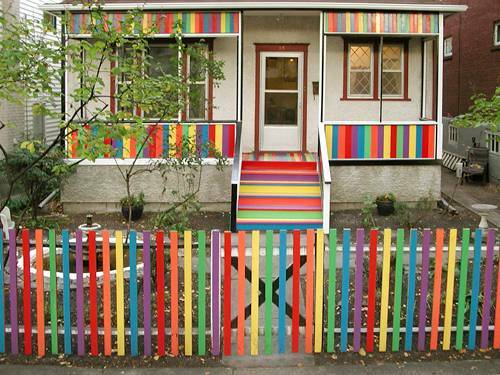 Stir the paint to make sure it is all one color and not clumpy.Use a roller or a brush for the fence. If you start from the top you can remove any dripping as you make your way down.